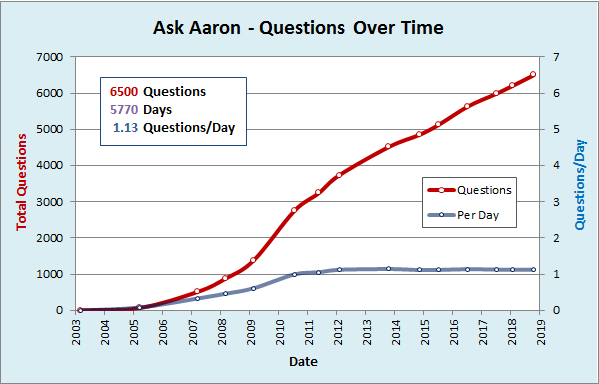 Back in March of 2003, Team Run Amok started 'Ask Aaron' to answer the occasional robot combat question sent to our team. Fifteen years and 6250 questions later we're still here and still fielding a very broad range of practical, theoretical, arcane, obscure, and sometimes just plain silly questions. To celebrate our 10th anniversary we looked back at the first published version of 'Ask Aaron' -- a single page with just seven questions and a robot haiku. This inspired a return to those humble roots with a Combat Robot Haiku Contest. Our 15th anniversary celebrated Ask Aaron's favorite recurring element: the 'What ever happend to...' Mad Lib. Fans contributed new 'Mad Lib' replys to frequently asked questions we've tired of answering. 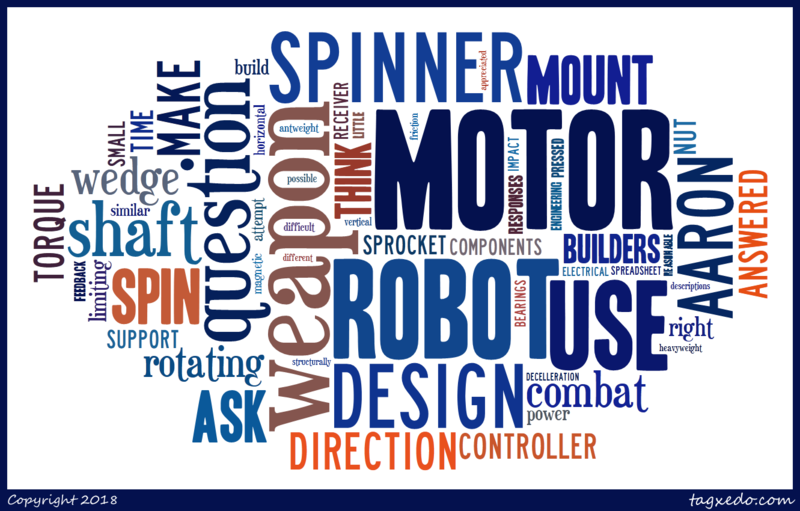 See the results of our Combat Robot Mad Lib Contest. Team Run Amok receives a lot of email asking about the design and operation of combat robots. In 2003 my son and team member Aaron Joerger (then 12 years old) asked for a question and answer page to document our responses. That was the start of the story, but a lot of what happened in the years since slipped away unrecorded -- until now. For the 15th aniversary of 'Ask Aaron' I've sifted thru the old files and restored to glory a few early versions of our combat robot question and answer page to show how it has evolved and adapted. The pages have working links, but I've turned off the scripts for searches and question submittal. The first 'Ask Aaron' March 2003 - Seven questions and a haiku. Ask Aaron - March 2005 - A meager 68 questions, two poems, and the first archive. 'Run Amok' theme. Archive - March 2005 - overflow questions, uncategorized. Ask Aaron - March 2007 - 517 questions - the short-lived 'pea soup theme' appears and the archive gets organized. Archive - March 2007 - The last single-page archive. Ask Aaron - February 2009 - 1383 questions - the 'gear theme' arrives, the archive breaks into category pages, and 'Google Custom Search' appears. Ask Aaron - May 2011 - 3242 questions - the menu system grows in the left margin, and everything briefly went BOLD! Copyright 2018 by Mark Joerger -- all rights reserved.